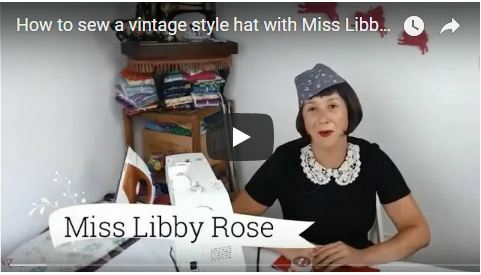 Welcome to this sewing tutorial with Miss Libby Rose. 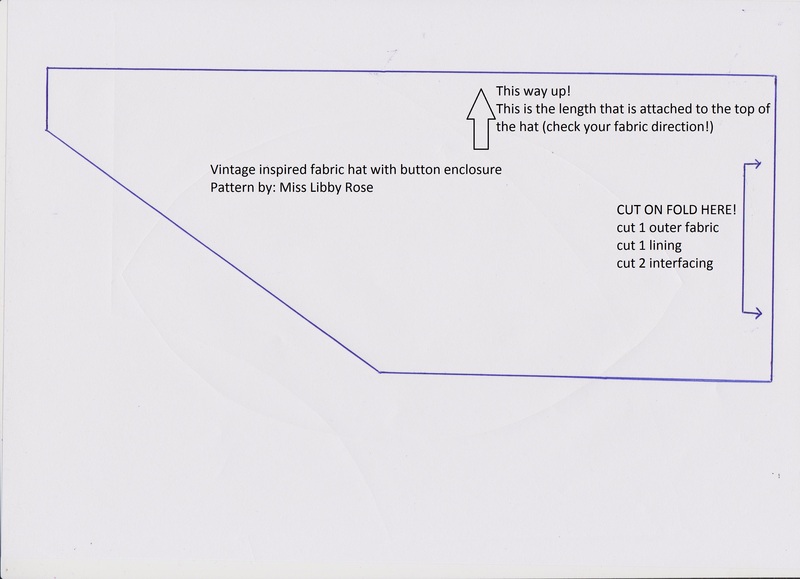 Today we are making a vintage inspired military hat with a button at the front. Step 2: Fold the long sideways pieces in half lengthways and create a crease with your iron. 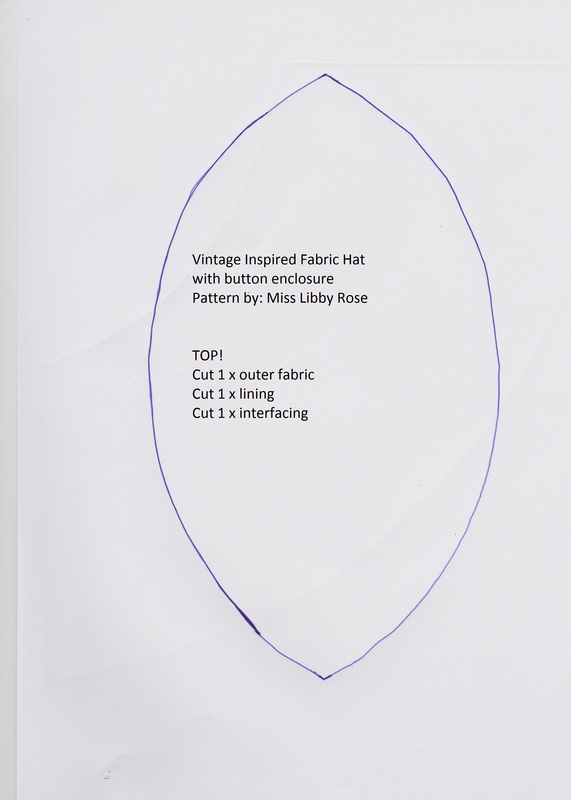 Step 3: With right sides together line up the crease on the longer side with the point at the peak of the hat. Step 4: Pin and sew the outer fabric from the centre back peak point around to the front point leaving the excess fabric dangling at the front on both sides. Do the same for the lining but this time leave a 4-6cm gap in the side. Step 5: Notch around the curves and iron / steam the hat. You can roll up a hand towel inside the hat to add depth so it is easier to steam out any creases and create crisp edges. Step 6: Place the 2 hats inside each other with right sides together and sew the raw edges together ensuring you keep following around the excess flap at the front. Step 8: Try it on and create a overflap at the front. Handsew on the button over the front flap to hold it all together. Step 9: Handsew up the hole left in the lining. Next post: Vintage inspired summer hat with a wide brim!